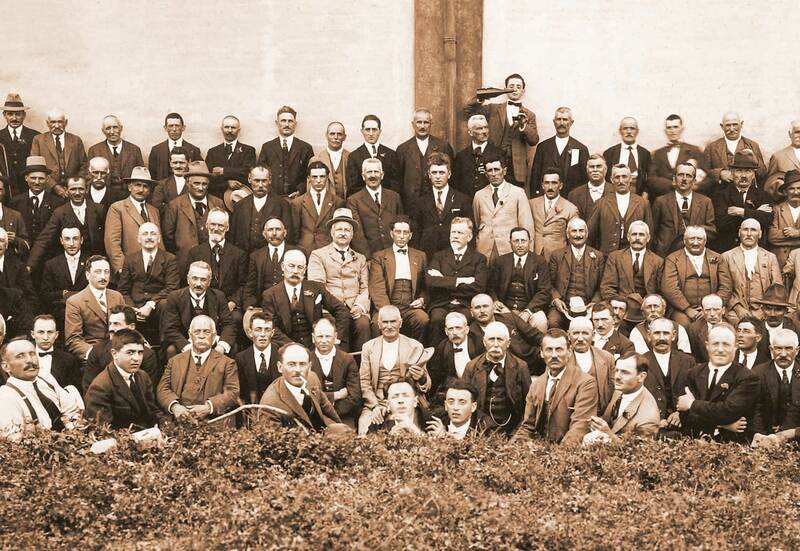 So far, over 250 members have joined the winery which has a processing potential of 160.000 quintals a year. 80% of the grapes comes from vineyards with D.O.C. and I.G.T designations. The grapes grown are mostly Lambrusco Salamino, Lambrusco di Sorbara, Lambrusco Grasparossa and Ancellotta. 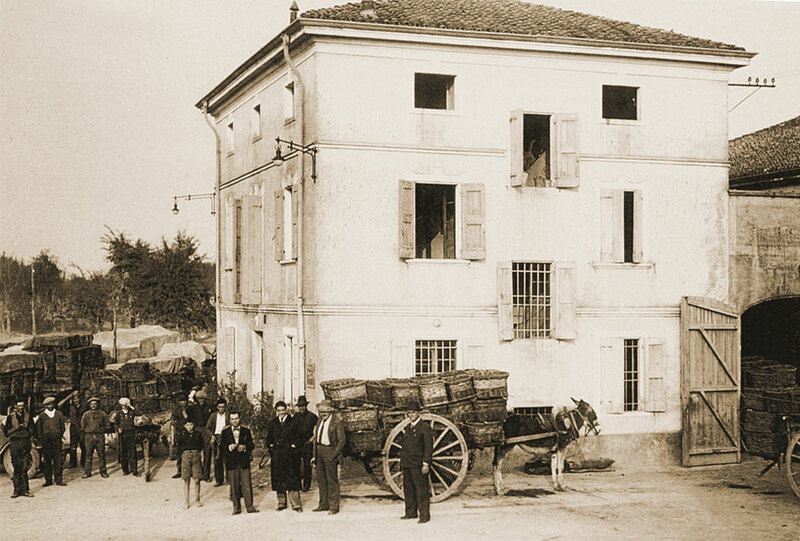 The cantina’s headquarters has remained the historic one of the last century, at the entrance of the hamlet, coming from Carpi. The cantina looks like a mighty cathedral of a profane worship, that of winemaking. Symbolically, it is complementary to the holy church building on the opposite side of the village! 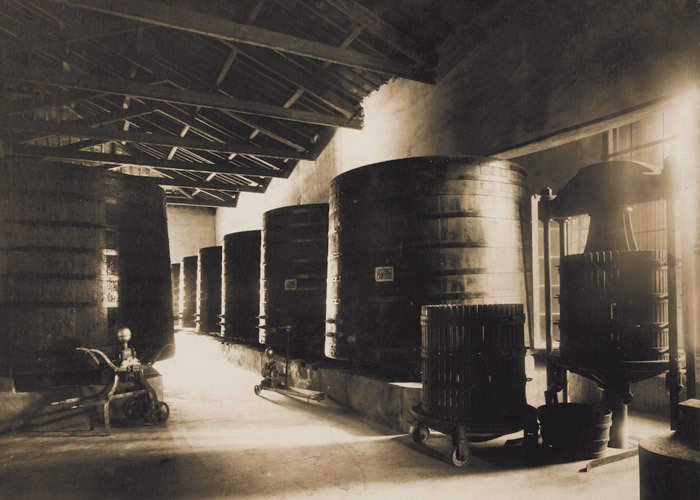 Today the winery is treasured as an important wine production institution with advanced technologies and ethical principles among the members. 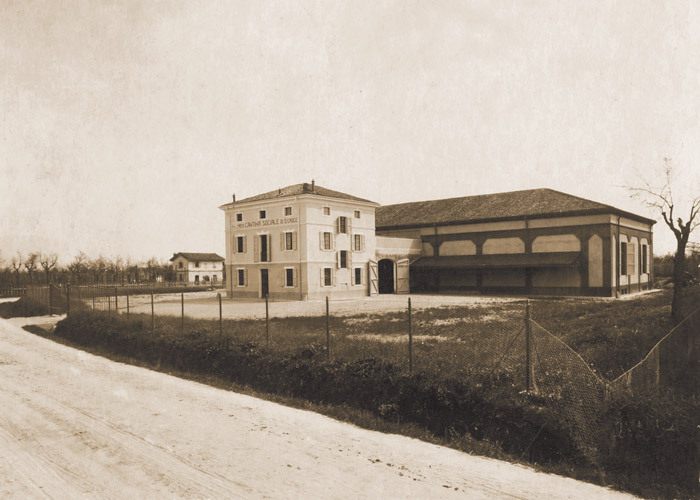 Since its establishment the winery has always looked like a majestic entrance arc, a bastion that fiercely marks the entrance to Santa Croce from Carpi, in Modena. This hamlet is well-known for its peculiar identity and also its Lambrusco grape variety confirms it, bringing also the name Salamino di Santa Croce after its origin. The small flap of land on which Santa Croce stands is a pleasant place, a retreat for those who love the Po Valley. Its landscape is an environmental heritage for those who feel at home when surrounded by nature. Here at Santa Croce, a place of inner affinity, the mood of a moment is identified in the living picture of his countryside. From the church the view extends over the oaks and cypresses of seventeenth century villas and farmhouses inhabited by tenacious and generous people. In this area the ‘Vitis labrusca’ has always been grown and this is the ancient name of the lambrusco vine. The roads then become narrower and at last fuse together with the surrounding green.